It’s as if Hindutva forces want to create a public sphere that, if not literally devoid of Muslims, is certainly devoid of Muslimness. From these incidents, it would almost seem that there is an attempt to erase from public view the typical dress of North Indian Muslims – kurta-pyjama and caps for men, burquas for women. It’s as if Hindutva forces want to create a public sphere that, if not literally devoid of Muslims, is certainly devoid of Muslimness. The issue of looking Muslim is not a new one or, for that matter, only confined to Uttar Pradesh. 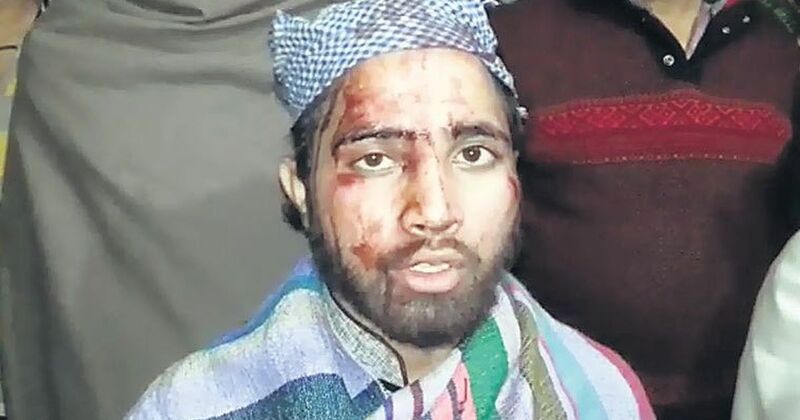 In 2015, for example, a Muslim man’s beard was pulled even as he was assaulted and robbed on a train in western Uttar Pradesh. Like the namaaz cap and kurta, the beard is also a prominent symbol of Muslimness. In 2014, a Muslim man Mohsin Shaikh was lynched in Pune by around 25 members of a group called the Hindu Rashtra Sena. The members of the Hindu Rashtra Sena were angry about morphed images they had seen circulating on social media. When they stepped out, they spotted Shaikh, who had a beard and was wearing a green Pathan suit, slotting him as Muslim. In June this year, a 15-year old boy named Junaid was singled out as Muslim for the cap he was wearing and stabbed to death in a train in Haryana. In Junaid’s village, in Faridabad, a district in Haryana that borders Uttar Pradesh, men are trying to look “less Muslim”, droppingobvious articles of clothing such as namaaz caps or shaving off their beard. The Telegraph found that symbols of Muslimness are now found less visible on the train route on which Junaid was murdered. Muslims think it too risky to wear their namaaz caps while commuting. In his 2004 essay “On representing the Musalman”, historian Shahid Amin deftly critiques the Nehruvian “Unity in diversity” dictum that represented Muslims – and other minorities – using blunt stereotypes. In government “unity in diversity” posters, Muslims are represented by a man wearing a fez cap. Thirteen years after this essay, things have moved from bad to worse. Earlier, Muslims were stereotyped, yet – small mercies – they were still part of government propaganda. Yet, now, with Hindutva rising, there is pressure for Muslims to remove markers that are visually distinct. This trend is particularly acute in Uttar Pradesh. Looking Muslim has resulted in a range of penalties, ranging from chastisement by the police to outright assault. This behaviour is backed up by the administration, led by a chief minister who is not only accused of communal rioting but has gone on record claiming that secularism – a constitutional principle – is a lie. This airbrushing of Muslims from the public sphere is not unexpected. Vinayak Savarkar, the man who coined the word “Hindutva” was a firm believer in the Two-Nation Theory and postulated that in India, Muslims must subordinate themselves to Hindus. The expectation that Muslims should be made politically irrelevant in India finds deep resonance with the BJP charge of “vote banks”, the notion that minority communities are pandered to by politians for electoral gain. But the fact of Indians voting as groups is a banal reality: voting along caste, geographical or gender lines is a common way for groups to pressure leaders to act. Patels in Gujarat might vote for reservations or a village for a new tubewell. None of this attracts censure – till the group in question happens to be members of minority communities. As a result, the BJP rarely courts Muslims, preferring to rely solely on Hindu votes. In the March landslide in the Uttar Pradesh Assembly elections, for example, the BJP stitched together a remarkable multi-caste Hindu alliance, winning 40% of the vote. Even when the BJP desires Muslim votes, its methods don’t rely on the quid pro quo that characterises India’s transactional democracy. For example, in one recent case, civic polls in Uttar Pradesh saw a BJP leader threaten Muslims to vote for the BJP. Even while asking for their votes, the BJP does not see Muslims as legitimate players in the political space. While other voters could ask for, say, roads or water works, in return for their ballots, Muslims in Uttar Pradesh are not worthy of even such a transaction. So successful has the BJP’s pitch been on this score than even some Muslim leaders now agree that it would be better if Muslims strategically excused themselves from the political space given that it would “polarise society”. Google has stated that its goal is to provide users with a great user experience and fast loading websites make that happen through increased user satisfaction. And with all the hard work you put into creating a stellar design for your website, it would be a shame if visitors bounced off before it even fully loaded. The goal is to have your site load in less than two seconds. While that may seem next to impossible for all of you with sites that load in fifteen to twenty seconds (and that on a good day, too), there are a few different things you can do to effectively decrease page loading times. With this in mind, in this post, we’ll walk you through a five-step process to help you optimize your WordPress website for performance. WHY IS IT IMPORTANT TO OPTIMIZE YOUR WORDPRESS WEBSITE FOR PERFORMANCE? Back in 2010, Google announced that it takes site speed into account in its ranking algorithms. On top of this, slower loading websites have higher bounce rates and lower conversion rates. Improving your site’s page loading times can help you retain visitors. In addition to this, web crawlers will index a fast-loading website with optimized images faster than a slower website that has tons of large image files. Improving your site’s crawl speed can potentially increase its visibility in search engine results. It’s pretty easy to see that speed has a huge impact on the user experience your site delivers. The good news is that there’s a host of tools out there that you can use to measure and analyze your site’s performance and take necessary steps to speed it up. In this section, we’ll step through some of the different ways you can optimize your site for performance and recommend some useful tools and plugins along the way. As always, you should take a complete backup of your WordPress website before you begin. Analyzing your site’s current page load times is the first step on the path to performance optimization. There a number of free tools out there that can help you measure your site’s load times and see how it holds up under multiple user loads. To get started, head over to Pingdom (or GTmetrix) to begin analyzing your site’s speed. Enter your site’s URL in the URL field and select a testing location from the drop-down menu. Once you’ve done that, click the Start Test button to begin the page speed test. We recommend Pingdom to test page speeds because, on top of giving you a brief summary of your site’s important speed metrics, it also gives you invaluable performance insights along with suggestions on how to improve your site’s overall performance. As a website owner you must have noticed that some of the largest files hosted on your website rarely ever change. These could be CSS files or high-resolution images that you use on your landing page. Caching is one way to speed up your site dramatically. From a technical standpoint, once you enable a caching solution on your website, it’ll automatically store some of your site’s files (the largest ones that hardly ever change) on the visitor’s browser. So, when the visitor accesses your site again, the files that were cached will be loaded from their browser thus reducing the page load times. The WordPress Plugin Directory has a handful of free, reputable caching solutions for you to choose from such as WP Super Cache and W3 Total Cache. However, if you’re looking for a premium offering then you’ll be hard-pressed to find a better caching solution than WP Rocket. Images are everywhere. They’re great for adding value to your written content and help draw in the reader’s attention not to mention dozens of other benefits. The only downside to using images is that they take up a lot of space on your server and slow down page load times. For this reason, it’s a good idea to optimize and compress image files before uploading them to the WordPress Media Library. If you have an image intensive site (for instance, a photography portfolio) then it’s best to install a plugin solution (such as Imagify Image Optimizer) that’ll automatically optimize and compress your images when you upload them. And for those of you who publish images occasionally and would rather not install a plugin, you can opt for the Imagify online application instead. When a visitor enters your site’s URL in their browser’s address bar, a request is made to transfer data between your site’s server and the visitor’s browser. gZIP compression enables you to decrease the size of that data by up to 70% of its original size. And when the packet of data reaches the visitor, their browser will decompress the page and display it. Login to your WordPress website’s admin panel and navigate to http://www.yoursite.com/wp-admin/options.php. From the All Settings screen, scroll down till you see the can_compress_scripts field. Change the value from 0 to 1 in order to enable gZIP compression on your site. Remember to hit the Save Changes button at the bottom of the screen when you’re done. As a WordPress website owner, you probably have a few plugins installed on your site. But if those plugins don’t comply with the coding standards then they could cause security issues or be slowing down your site. It’s important to measure and analyze your active plugins to make sure they aren’t running any processes that cause high CPU usage. 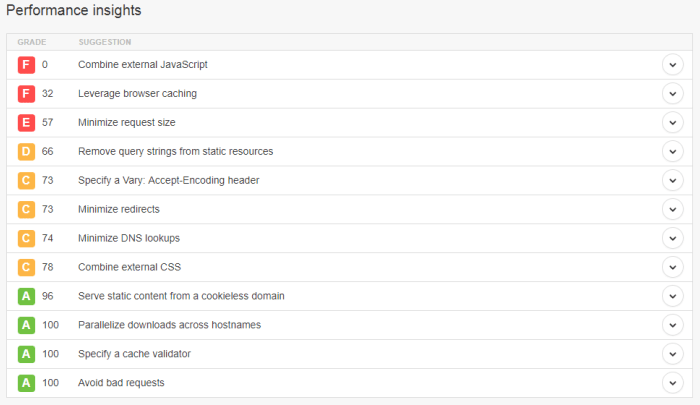 The P3 (Plugin Performance Profiler) by GoDaddy.com shows you how much impact each individual plugin has on your site’s page load times. If any active plugins on your site are causing bottlenecks then you’ll need to find alternative solutions for them or contact their developers and report your issue. Site speed is a huge ranking signal in Google’s search algorithm and if you want your site to show up near the top of its search results, you’re going to have to optimize it for performance. As an added bonus, you’ll also be delivering a great user experience.